KXT Live Sessions feature intimate performances from classic artists and new breaking acts. In-studio performances are filmed live in KXT’s performance space, and On The Road videos feature performances from different places around North Texas and beyond. Check out the full audio/video archive of performances and interviews below. Thank you to Jason Ridings for sponsoring KXT’s Live Sessions. 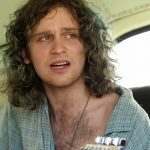 An artist hailing from Big Sky Country, former Best Westerns frontman Izaak Opatz shared “Not Yet” with our On The Road crew at the Sekrit Theater in East Austin. 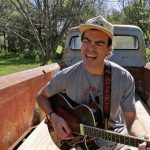 Maroney joined up with our On The Road crew to perform his breakout track “Under My Skin” at East Austin’s folk-tastic Sekrit Theater. The first-class artist, hailing from Minneapolis via Nairobi, took a moment from SXSW at East Austin’s Sekrit Theater for our On The Road crew. 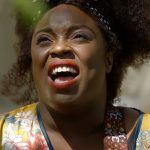 Dan Auerbach’s protégé and country-soul queen Yola took a break under a willow tree to deliver a stripped-down rendition of “Love All Night (Work All Day)” for our On The Road crew. 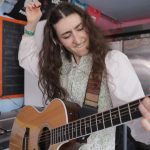 Our On The Road crew was pumped to spend some time with NYC-based Bailen in Austin during SXSW for a stellar performance filmed at Amy’s Ice Cream on South Congress. KXT offers full backline to all bands thanks to Juli and Mac McGinnis. Click for our complete list of gear.